As hotel prices can change frequently, you must contact us promptly by email booking@lodging-world.com, but in any event within 24 hours of purchasing your hotel room through Lodging-World.com. Your email should include the following information: your name, reservation number and the website where the lower rate is available. Incomplete or inaccurate emails will not be taken into account under any circumstances. The guarantee is not applicable for same day bookings. 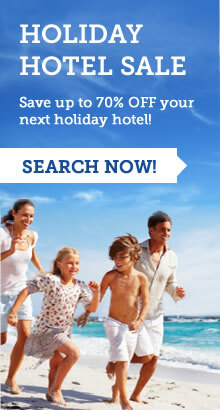 The guarantee only applies in respect of a lower rate that is available for online booking. The lower online rate must be bookable when we validate your claim, within the 24 hour period, screen shots will not be accepted as proof. 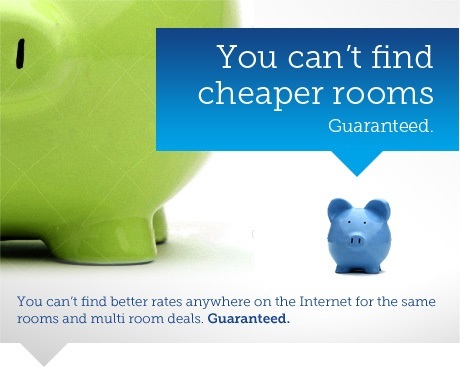 The lower rate must be found online for an equivalent room at the same hotel as booked through us on the same check-in and check-out dates with the same booking conditions. We will only match the difference between our rate and the lower rate if your reservation through us is completed and not cancelled or the subject of a no-show. "Lowest rate guarantee" does not apply to hotel rooms purchased through or in combination with membership rates, frequent stay, loyalty points or other "reward" type programs or special promotions of the hotel where the booking is made.